Teeth that cannot be saved with a tooth-colored filling or a porcelain inlay or onlay may require a dental crown. Porcelain crowns are the most popular type of dental crown which fits snugly over an existing tooth, providing aesthetic beauty while protecting the remaining tooth material from decay. 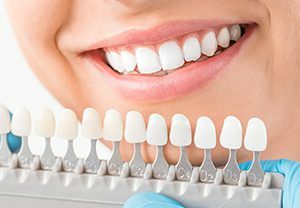 Like porcelain veneers, dental crowns are made from high-quality porcelain, which gives your teeth a healthy glow, mirroring how your natural teeth react to sunlight. In fact, most people won’t even know you’ve had work done. 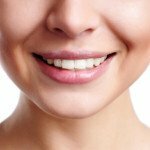 Why go for a full porcelain crown? Full porcelain crowns are better than porcelain fused to metal/gold crown as they better mirror the natural look of the tooth. So if you are in need of better aesthetics and if your tooth is strong enough to compromise on strength, full porcelain crowns are a perfect fit for your need. Porcelain crowns are suitable for supporting a tooth that has gone through a large filling needing replacement or dental implants. They can be used to aesthetically to lighten your teeth, narrow gaps and to reduce crowding of your mouth. If you are interested in the above dental technology or in any of the preventative, restorative, and cosmetic dentistry services at our Millburn practice or wish to schedule a no-obligation consultation, please contact Dr. Pollack.